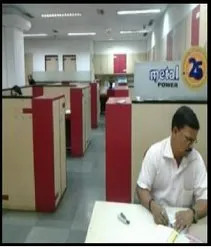 Established by Shri PD Pant in 1987, Metal Power offers the world’s widest range and most advanced of spectrometers, allied equipment and accessories designed to meet the analytical needs of virtually every user in metal industries. Our products are designed to deliver the highest levels of accuracy and precision, while also being truly rugged and reliable, assuring customers the highest levels of uptime, reliability, service support and of course, performance for decades, without incurring high costs. We also design and deliver custom applications and products where required, ensuring that our customers truly experience delight, with every need being met. Our organization is built on the firm foundations of one of the industry’s strong R&D teams. Featuring 30 scientists, technologists and Applications specialists, our DSIR-accredited R&D setup churns out innovations and patents at a furious pace, ensuring that our instruments not just meet, but beat the competition across metrics in every product segment. Equipped with a plethora of tools and packages for design, simulation and testing, our infrastructure ensures that instruments we offer to our customers are designed from inception to meet the most stringent application and environmental conditions. With a sprawling infrastructure of more than 30,000 sq. 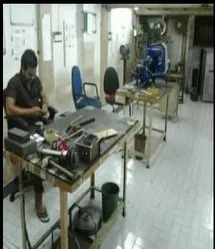 ft. in the heart of Mumbai, Metal Power is fully committed to continuous innovation, research and customer service. Our Service Team spans the length and breadth of the country with 30 engineers spread across 17 different locations in the country. All our customers are assured of the highest levels of response and service through our own, in-house, R&D-trained engineers, assuring them of a service level no other can match. We are also committed to complete transparency and the highest level of ethics in all our dealings with each and every stakeholder we interact with. Today, Metal Power is the supplier of choice for customers from the largest to the smallest. Our customer base today stands at 1,300 . From Tata Steel, Sterlite, CMERI, CPRI, Tata Tinplate, Ashok Leyland and Gestamp to Bharti Industries, Deem Rolltech, NTPC, Uno Minda, Melwire, Megatherm and over a thousand others, Metal Power’s customers bear testimony to the quality we offer. Vision-Our vision is to be global leaders in analytical instruments and the supplier of choice for companies around the world. We will ceaselessly research and innovate to bring to the market products of the highest quality and efficiency to meet our customers'''' needs, enabling them in turn to meet the highest quality standards. We offer our clients a single-vendor solution to cater to all their analytical needs backed by a promise of industry-leading after-sales service to ensure up time and productivity. Our products are designed to be rugged and long-lasting, delivering fast and highly precise and repeatable results even under the most demanding conditions. The driving force behind our success has always been our commitment towards quality. Product-range, we have come up is precisely manufactured by making use of high-grade basic material in accordance with the defined parameters of the industry. Basic material which we use is procured from the established vendors of the market. Further, we design all our products incorporating advanced technology while taking into consideration requirements of the clients. After completion of production process, we thoroughly check products to ensure their longer service life, efficiency and reliability. Bangladesh, Brazil, Iran, Indonesia, Malaysia,Mexico, Pakistan, Saudi Arabia, Singapore,South Africa, South Korea, Thailand, Turkey,Ukraine, U.A.E., U.S.A, Vietnam. Ahmedabad, Bengaluru, Chennai,Coimbatore, Delhi, Jaipur, Jamshedpur,Kolkata, Ludhiana, Mumbai, Nagpur, Pune, Ranchi, Secunderabad.